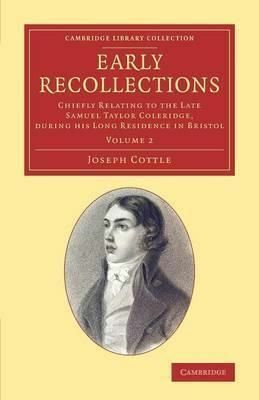 The reminiscences of Bristol bookseller Joseph Cottle (1770-1853) have been described as 'unreliable but essential'. The son of a tailor, Cottle was an avid reader, opening a bookshop in 1791. Three years later he was introduced to Samuel Taylor Coleridge and Robert Southey, and became the earliest publisher of their works: through them, he also knew Wordsworth, and published the Lyrical Ballads in 1798. He later fell out with all three men, and in 1837 published (despite Southey and Coleridge's family attempting to prevent it) this quickly notorious two-volume work, through which Cottle lost an expensive libel case in which he was sued by Hannah More's coachman. Ten years later, he recast the book as Reminiscences of Samuel Taylor Coleridge and Robert Southey (also reissued in this series). Both works contain evasions and distortions, but are valuable for their account of some vital years in the lives of the great Romantic poets.